We made it to Shanghai from Okinawa without spending $140 and waiting 4 days for a visa. Our flight from Oki was 2 hours and upon arrival I showed my onward ticket to Thailand and my reservation at a local hotel. 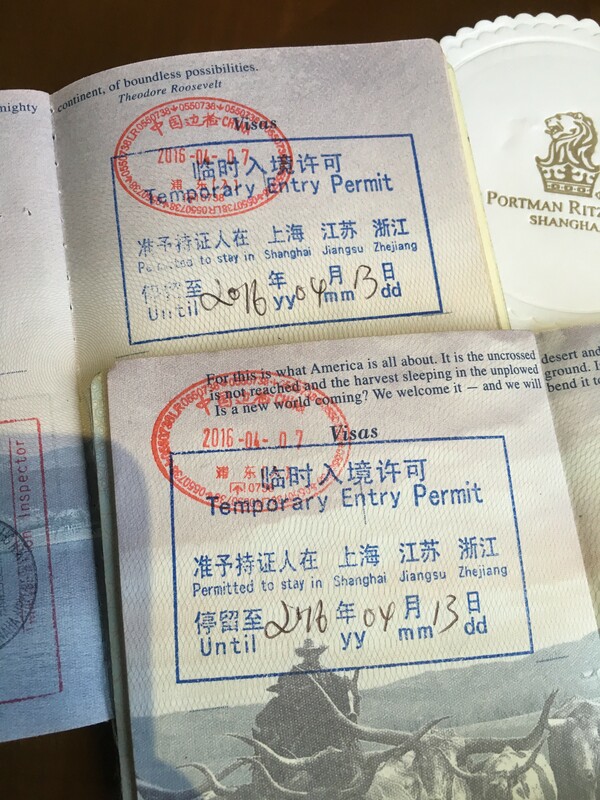 This process took over 30 mins at the airport transit area in Shanghai when they called the hotel and airline to verify that we were just passing by. The stamp is now good for 6 days (144 hours) with the time starting the day you arrive, so I arrived at 5:30 pm so that counts as if I had arrived at 12:01 am the same day. The 10 year Visa is the norm and you will not have an issue coming in to China. This transit visa deal is kind of met with a certain confusion and suspicion. Even when I checked into the hotel, they had said they have never seen some one without a full page $140 visa. However if your dumb like me and never got your Chinese visa when you were home for the holidays then this is really your only option if you cant find time to get a proper visa. A few things I wish I knew before I left, GMAIL and Google maps are all blocked, so sign up for a service like Express VPN to get access. Another thing you can do is download maps on google maps and trip advisor on your phone so you don’t even need internet access to navigate. Lastly if your wondering what hotel to use your RC upgrade cert on, the Portman Ritz is just okay, feels more like a Marriott, so look into the Pudong Ritz which is much closer to the action.